Was 2018 the Craziest NCAA Tournament Ever? Become a Data Scientist with Thinkful. Graduate from our flexible Data Science program and we'll get you a job - guaranteed or you get your full tuition refunded. Master Python and SQL while studying machine learning from the comfort of your home without having to quit your job. Apply now! You will work on stimulating projects related to pre and post-sale media plan optimization. You will have the benefits of a broad range of enterprise-grade analytics tools as well as the space to introduce other technologies and methods. This is a new initiative where you will be setting the technical foundation and methodologies that will be employed for years to come. 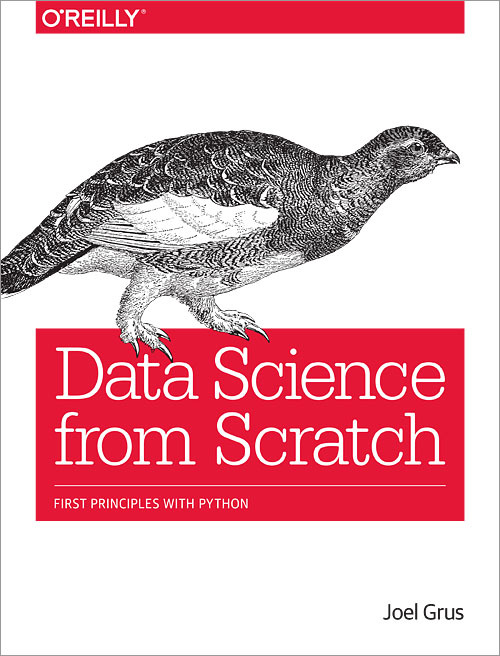 "It does three things superbly: covers the basic low level tools of a data scientist (the "from scratch" part), gives a great overview of useful Python programming examples for those new to Python, and gives an amazingly succinct yet high level overview of the mathematics and statistics required for data science..."